Your pet is a part of your family. So, when it comes to choosing a pet food, you want the very best. But there are so many different options! How can you be sure to choose a high quality food? Walk down the aisle of any pet supermarket. You will see brands labeled "holistic," "organic," "human-grade," and "natural." Continue walking and you will find high protein, grain-free, and gluten-free food. There are "novel" protein diets (e.g., rabbit, duck, bison). Raw, freeze-dried and dehydrated foods are also popular. And this is only the tip of the iceberg! GMO-free foods are now available for our pets, too! So where do you begin? How do you know if a pet food manufacturer is as good as it says it is? For the real answers, go right to the source. Contact the pet food manufacturer itself! You may get some of the information you need from their website. But, you can learn even more by emailing or calling them directly. You can learn a lot by asking a few simple questions. If they can't answer these questions, that tells you all you need to know! Here are a few key questions that any high quality pet food manufacturer should be able to answer. 1. How Many Calories Are In a Cup or Can of Your Food? This is a very basic question that any pet food manufacturer should be able to answer. 2. What Quality Control and Safety Measures Do You Take? The manufacturer should be able to tell you where they buy their ingredients. The ingredients should have been inspected and approved by the United States Department of Agriculture. 3. Do You Have Your Own Manufacturing Plants? Companies that have their own manufacturing plants are better able to ensure quality control. They can test their product each step along the way to be sure there is no contamination with mold or other pathogens. Pet food companies without their own processing plants often contract the jobs out to the lowest bidder. This saves them money but they are sometimes sacrificing safety. Sometimes the lowest bidder can be in another country 3,000 miles away. Pretty hard to keep an eye on things from a distance! 4. Is a Certified Veterinary Nutritionist or PhD in Animal Nutrition on Staff? Who Formulates Your Diets? A Veterinary Nutritionist is board-certified by the American College of Veterinary Nutrition (ACVN) or the European College of Veterinary Comparative Nutrition (ECVCN). If they have a "pet nutritionist" or "certified nutritionist" - these titles mean nothing. 5. Are Your Diets AAFCO Feeding Trial Tested? well on it. The food has met the guidelines set by Association of American Feed Control Officials. 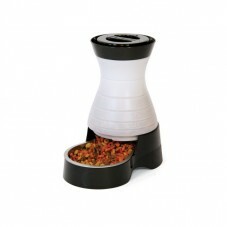 This is the best way to be sure the food is formulated to meet the nutritional needs of the pet. Good nutrition is so important for a healthy, long life. It is necessary to prevent disease. Nutrition keeps the immune system healthy. When choosing a food for your dog or cat be sure to do a little research. Ask a few questions.Then you can be sure that the pet food you pick is made by a company that cares as much about the health of your pet as you do!